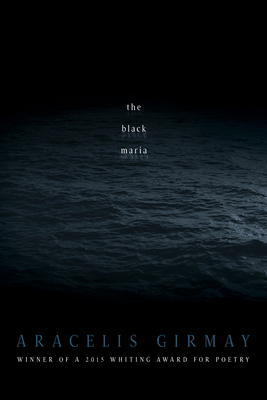 Taking its name from the moon's dark plains, misidentified as seas by early astronomers, the black maria investigates African diasporic histories, the consequences of racism within American culture, and the question of human identity. Central to this project is a desire to recognize the lives of Eritrean refugees who have been made invisible by years of immigration crisis, refugee status, exile, and resulting statelessness. The recipient of a 2015 Whiting Award for Poetry, Girmay's newest collection elegizes and celebrates life, while wrestling with the humanistic notion of seeing beyond: seeing violence, seeing grace, and seeing each other better. Aracelis Girmay is the author of three poetry collections, the black maria; Kingdom Animalia, which won the Isabella Gardner Award and was a finalist for the NBCC Award; and Teeth. The recipient of a 2015 Whiting Award, she has received grants and fellowships from the Jerome, Cave Canem, and Watson foundations, as well as Civitella Ranieri and the NEA. She currently teaches at Hampshire College's School for Interdisciplinary Arts and in Drew University's low residency MFA program. Originally from Santa Ana, California, she splits her time between New York and Amherst, Massachusetts. Aracelis Girmay is the winner of a 2015 Whiting Award for Poetry. She is the author of three poetry collections: the black maria (BOA Editions, 2016); Kingdom Animalia (BOA Editions, 2011), which won the Isabella Gardner Poetry Award and was a finalist for the National Book Critics Circle Award; and Teeth (Curbstone, 2007). She is also the author/illustrator of the collage-based picture book changing, changing (Braziller, 2005). Most recently, Girmay's poetry and essays have been published in Granta, Black Renaissance Noire, and PEN America, among other places. She has received grants and fellowships from the Jerome, Cave Canem, and Watson foundations, as well as Civitella Ranieri and the NEA. She is on the faculty of Hampshire College's School for Interdisciplinary Arts and Drew University's low residency M.F.A. program. Originally from Santa Ana, California, she splits her time between New York and Amherst, Massachusetts.